Are you suffering from unknown allergies? My son is having constant skin flare ups, and we just did not know what was causing it. We have gone to the clinic many times, but are not fans of the allergist we were referred to last time (for my oldest daughter-- who informed us we MUST get rid of all of our animals immediately). We just wanted to find our what he was allergic to, so My Allergy Test could not have arrived at a sooner time for us to review. 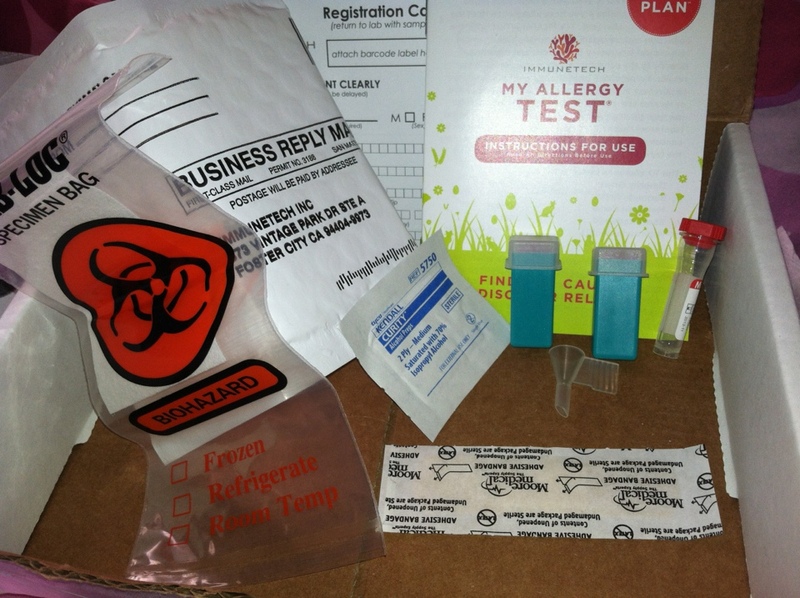 My Allergy Test is a test you take in the privacy of your own home. It is SUPER simple, and the instructions are VERY clear! 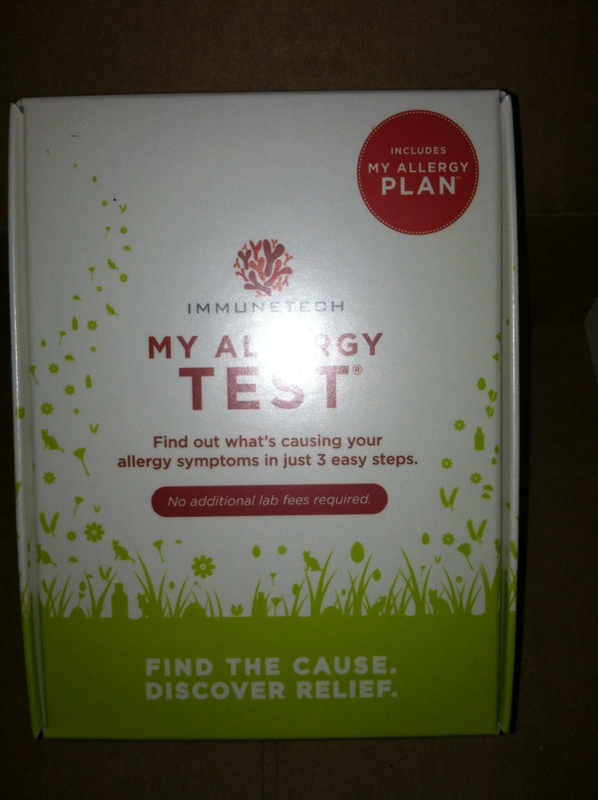 The test does not test for EVERY allergy, but it does test for the most common ones! MamaBreak received a My Allergy Test to review here on MamaBreak. We did not receive any other kind of compensation. As always, our experiences and opinions are our own! I would use this for myself as I have mystery rashes from an unknown allergy. I'd like to know what could be causing it! I'll use it for me—I get hives quite often! I will use this for my husband & my 3 grandchildren whose allergies seem to flare when they're here. I will use it for my son...he is getting ready to start school.. I'd love to use it for me to figure out what tree pollen and pets I'm allergic to. Thank you! My wife is allergic to everything so this will be helpful! Blood tests are notoriously inaccurate in determining allergies. Even if you have it done in a doctor's office. The most effective and thorough method is the skin prick test in an allergists office. My son is clearly allergic to grass and other pollens, as are the rest of our family members, because he gets a runny nose and his eczema flares up after he plays in the backyard. Yet, the blood test at the doctor's office showed no allergies. We will be taking him to an allergist's office for a skin prick test now that he is old enough (3.5 years old). They need to be able to communicate well enough that they can tell you if they are having trouble breathing as a result of one of the allergens that they are being tested with so that the doctor can administer an Epi Shot if needed. My Mom seems to be allergic to everything and has been on all kinds of medications so this would be wonderful! Either for myself or my husband. my husband! i'm very curious if he has food allergies!! I will use this on myself. I suppose I'm selfish - myself. i would use this product for myself. I would use it for myself. Thanks for the giveaway. I would use the test on myself. I will use this for myself. I will use it on myself. I have allergies all my life and want to be retested. Thanks for the giveaway…would like to test myself !